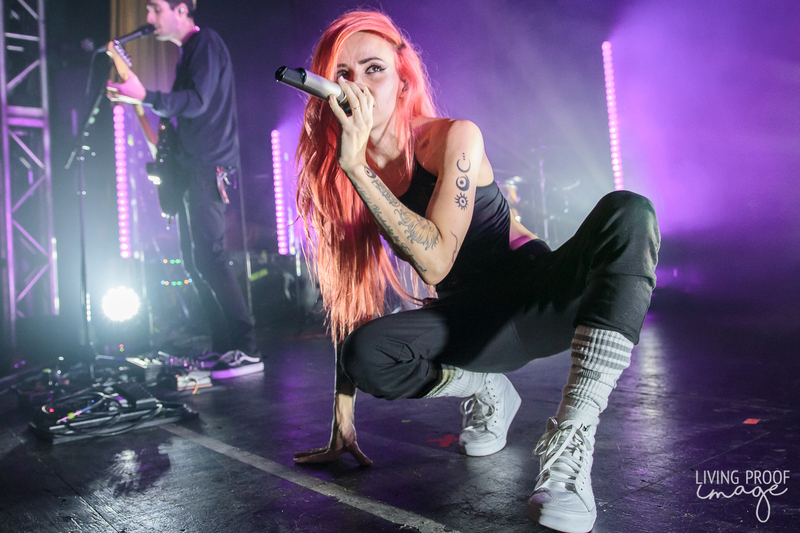 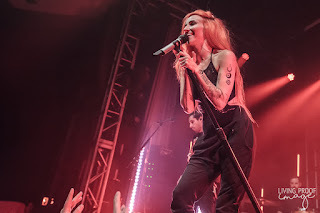 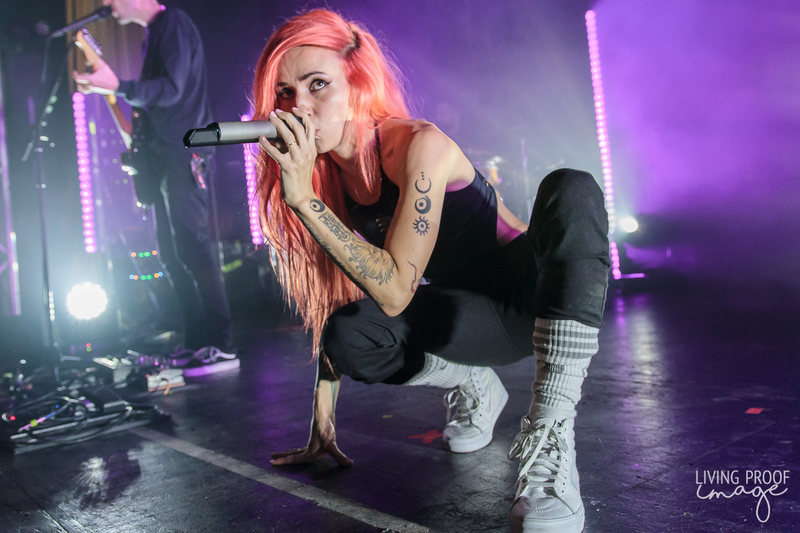 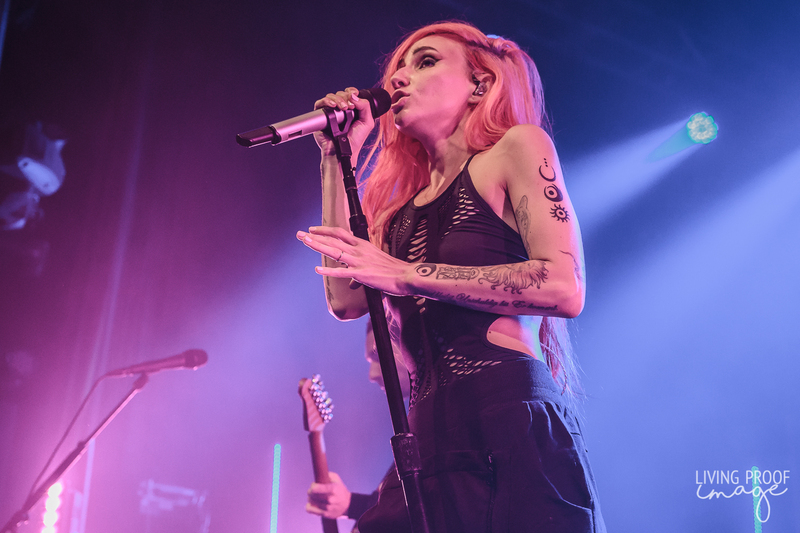 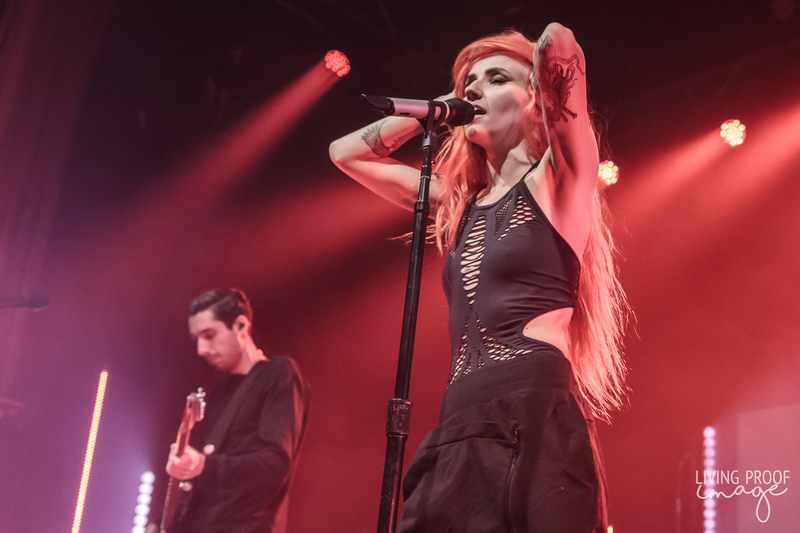 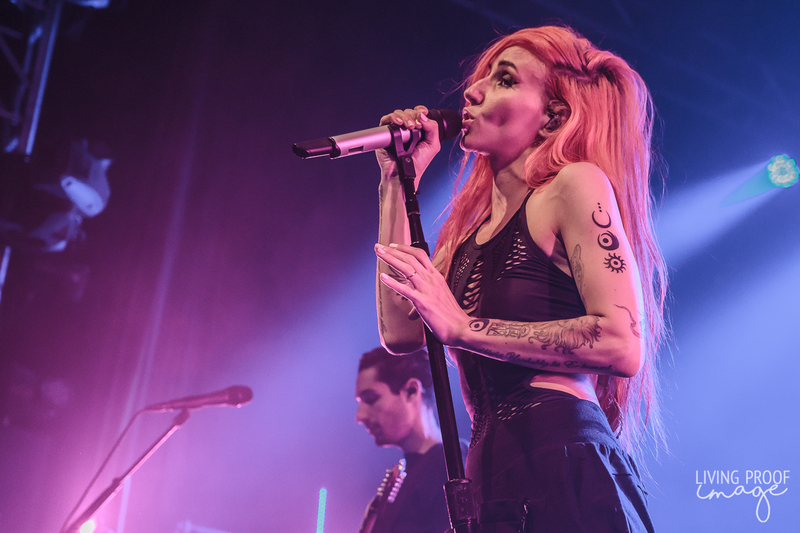 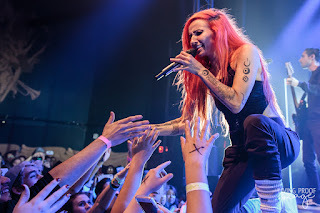 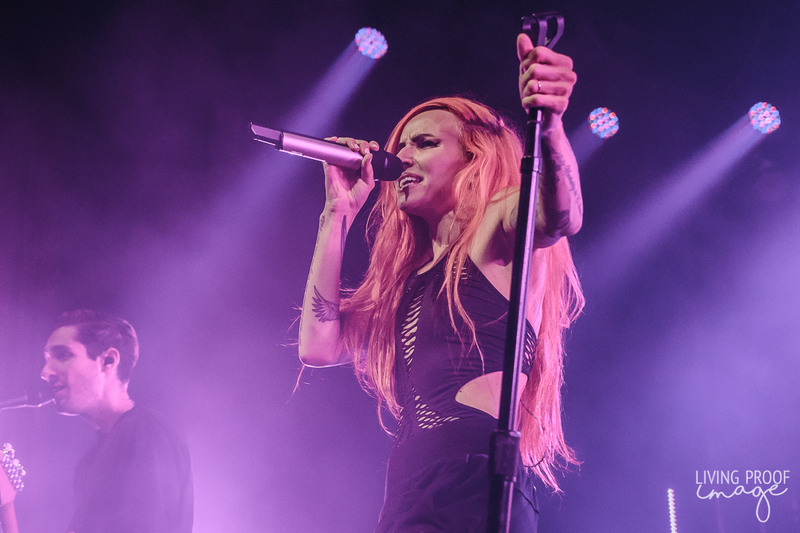 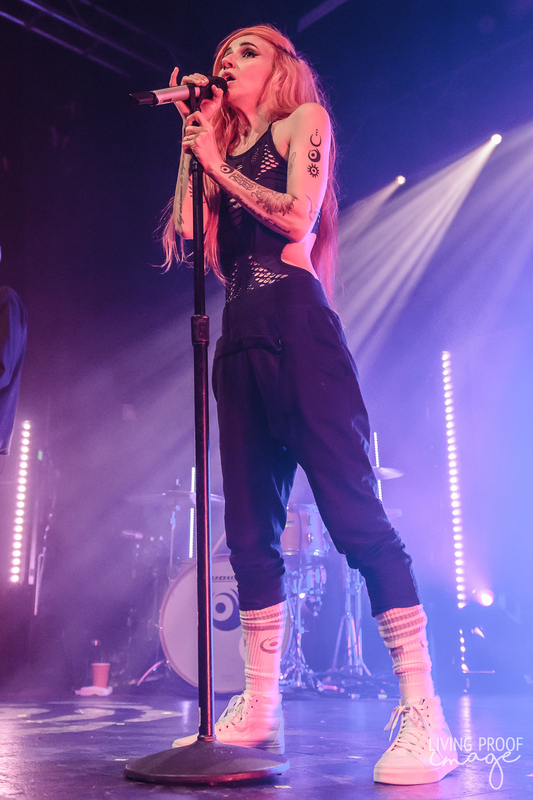 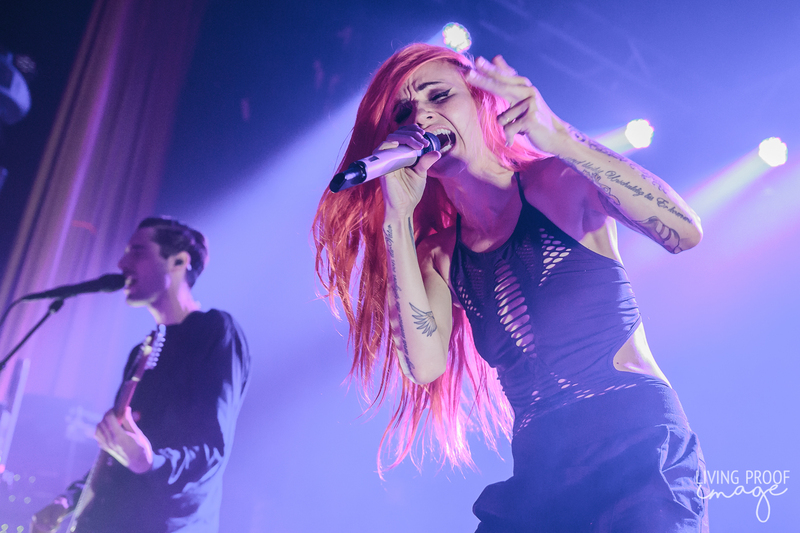 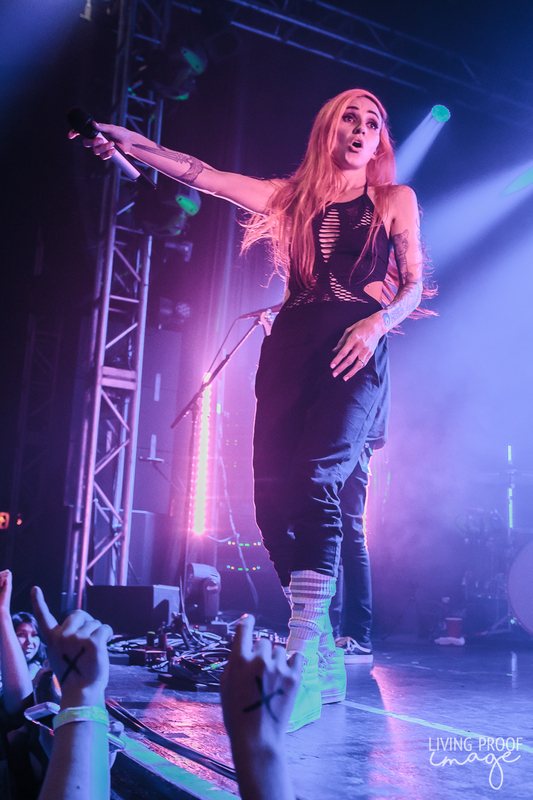 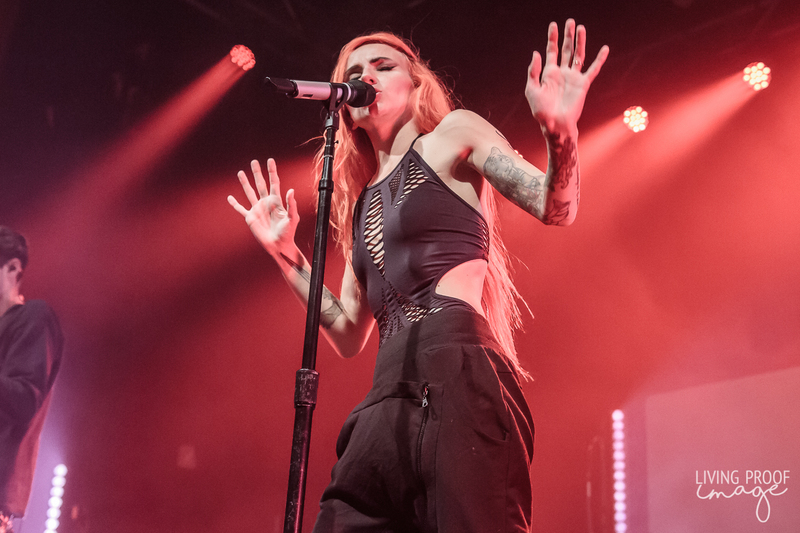 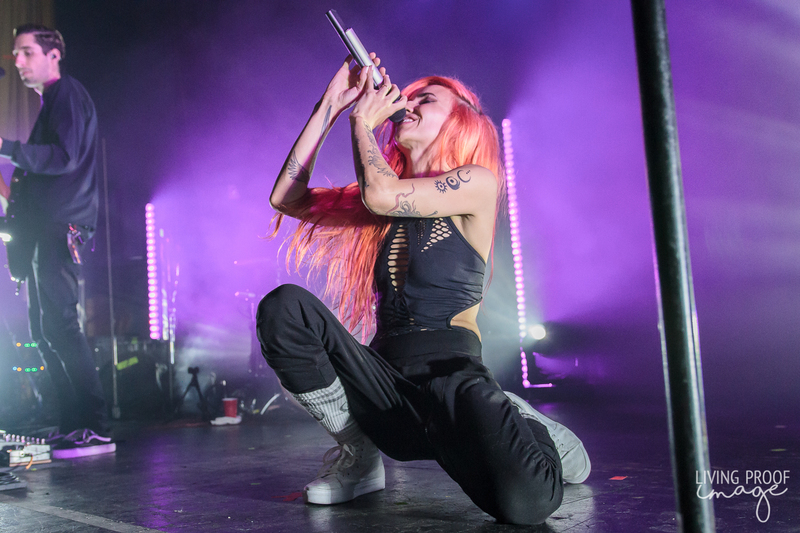 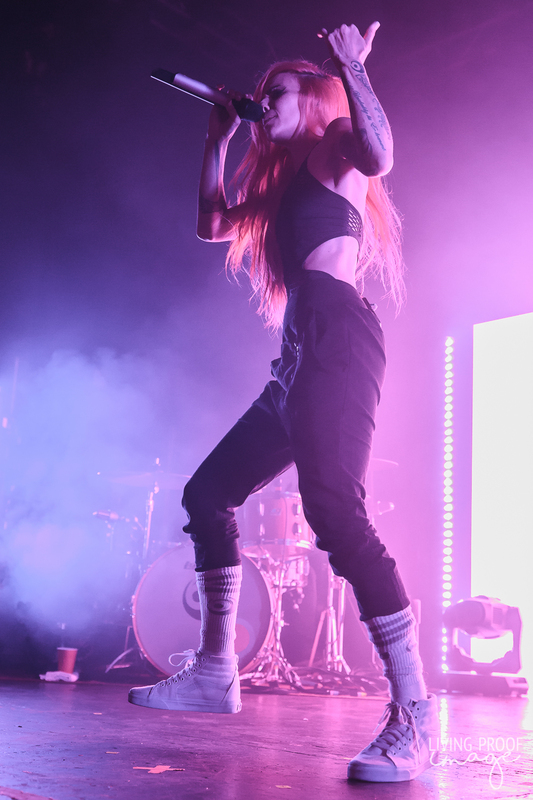 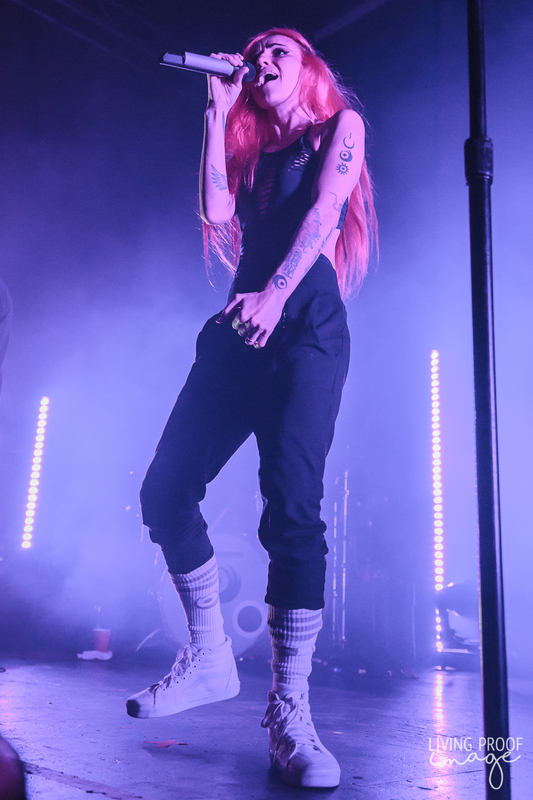 Lights, the Canadian-born singer-songwriter turned pop princess, is no stranger to the Lone Star State and has made Dallas a must-visit city whenever she is on tour. 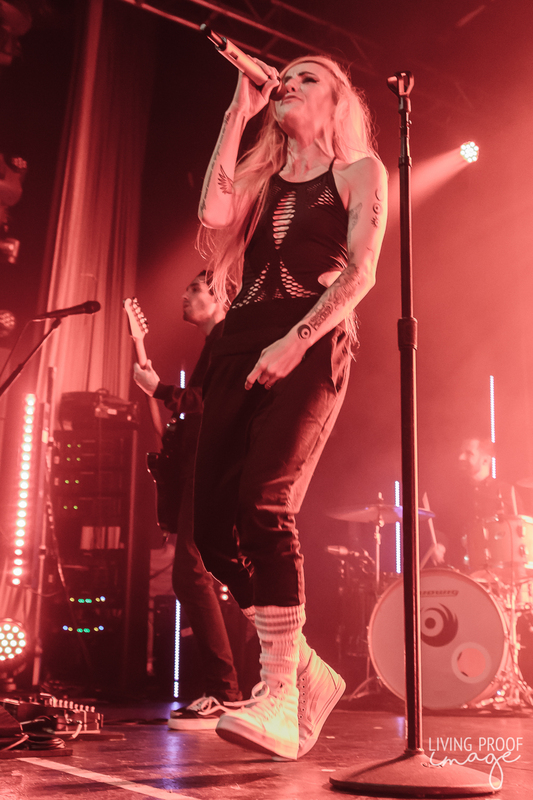 And not only does she visit Dallas often, she has made it a point to play at the historic Granada Theater on Lower Greenville; this is at least her third show at the venue. 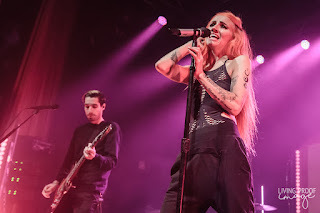 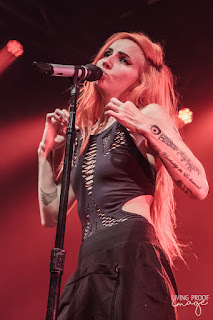 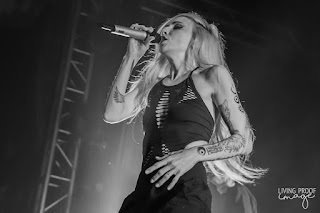 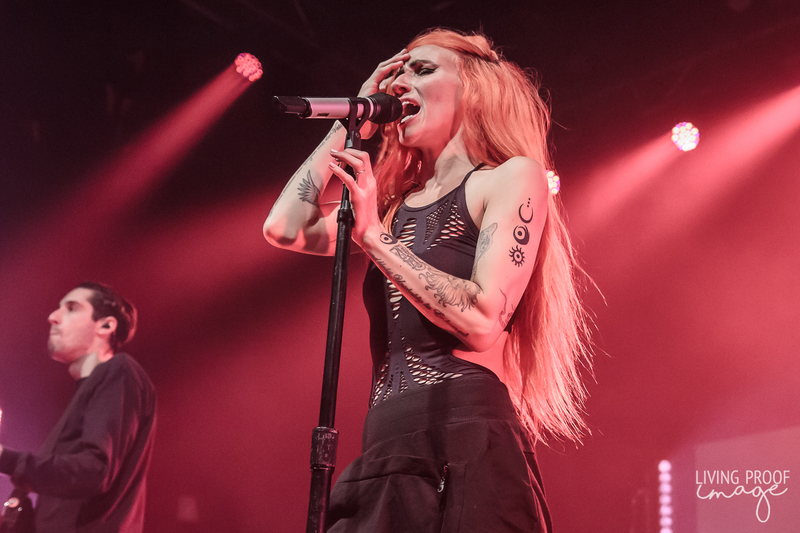 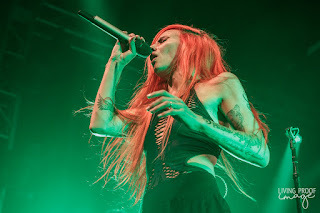 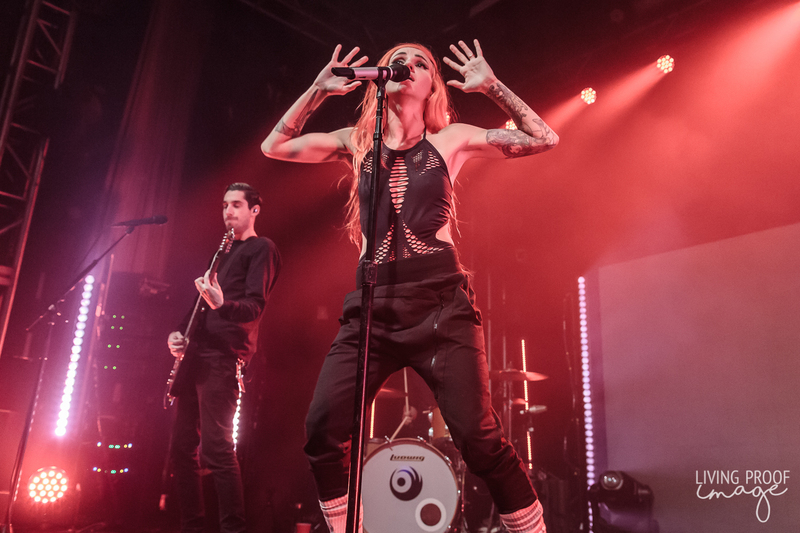 She last visited Dallas in September, opening for PVRIS at the Bomb Factory, only a week after her most recent album (Skin & Earth) was released. 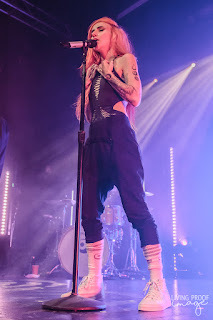 If you're not aware of Skin & Earth, it is a concept album based on her own comic book series. 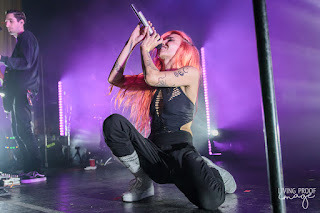 That concept overlaps into her live show, where she reigns supreme over the stage and is a fearless, often unmasked performer who does everything she can for her fans. 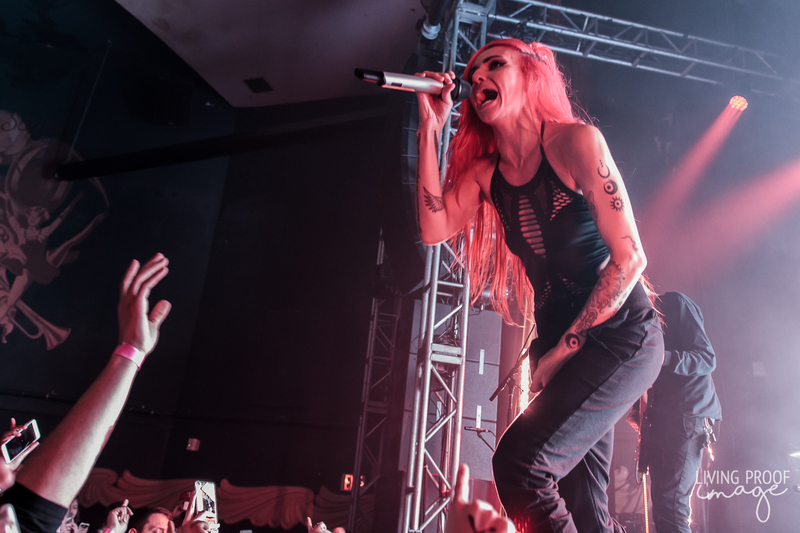 Before Lights hit the Granada stage, the Australian trio of Chase Atlantic (with two touring mates) had the task of warming up the growing crowd. Their brand of moody rock-pop, often compared to the likes of The 1975, did a great job in getting the crowd engaged and moving. 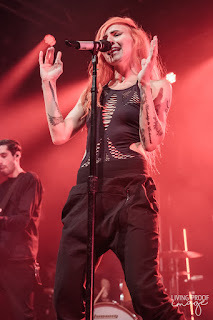 Led by the nearly shirtless Mitchel Cave, the band was enjoying the spotlight, showcasing music from their self-titled debut on Warner Bros. Records. 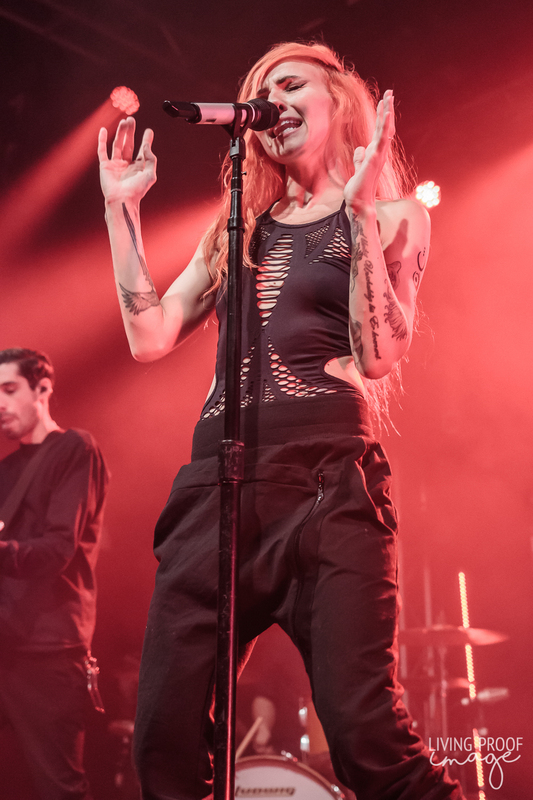 Their set was short-lived but was highly entertaining, leaving the crowd wanting more. Unfortunately, I did not capture any of their set, as I had positioned myself specifically for Lights and couldn't leave my spot (no photo pit). 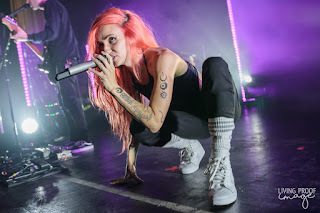 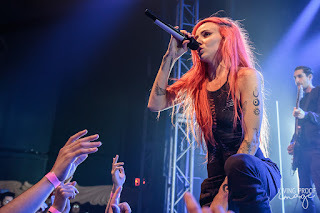 As mentioned earlier, Lights has been performing for some time, but this was the first time I have actually seen her perform; I was obviously in the minority, as many of the fans in attendance were talking about previous shows and/or knew all of the lyrics to her songs. 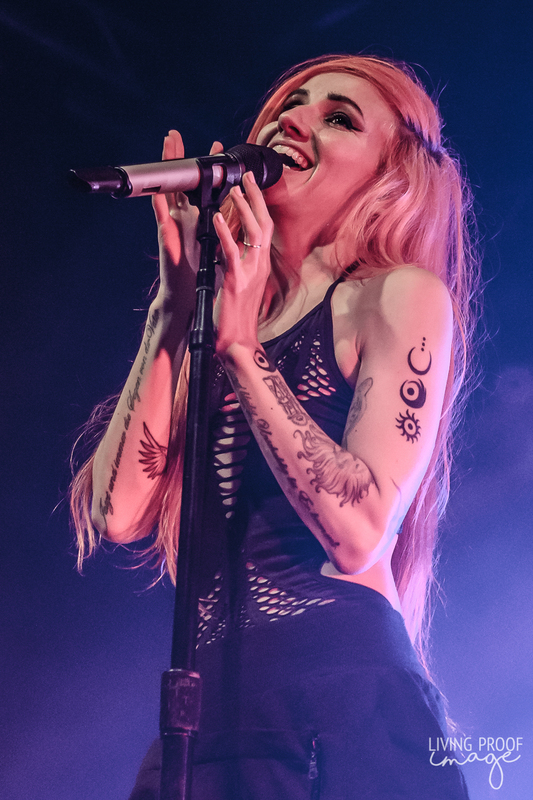 And to tell you the truth, I was pretty blown away. She stepped on stage with an intensely bright LED panel behind her and jumped into "New Fears", a slow-burning single from Skin & Earth. 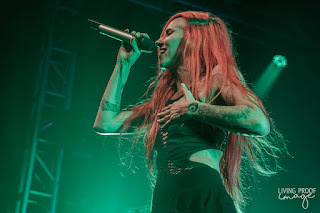 She is energetic and expressive and good lord, she has a fantastic set of vocals on her. 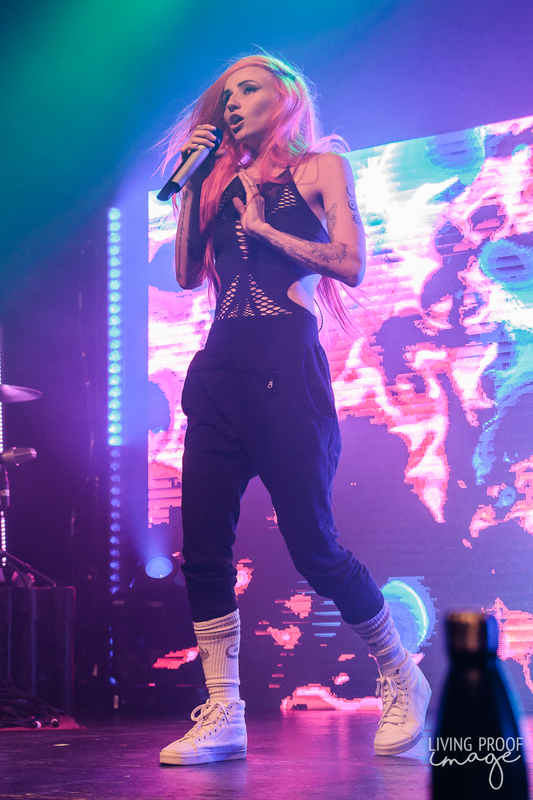 The show gets kicked up a notch when she performs "Up We Go", which creates a venue-wide sing along and dance party. The mood in Granada was so upbeat and positive, it was a lot of fun to be around. 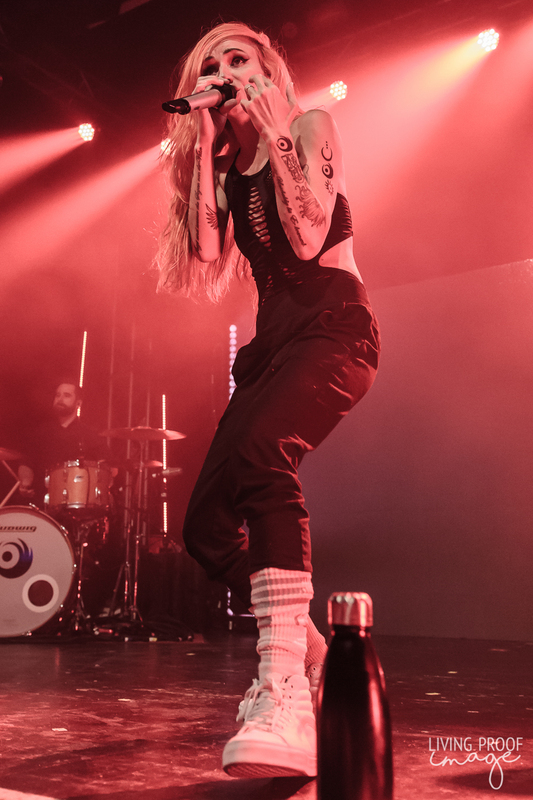 About halfway through her set, she stepped off stage as a candle-adorned piano was placed nearly center stage and Lights came back out to perform a few songs acoustically. The change of pace fits perfectly and allows Lights to connect with the audience even more. 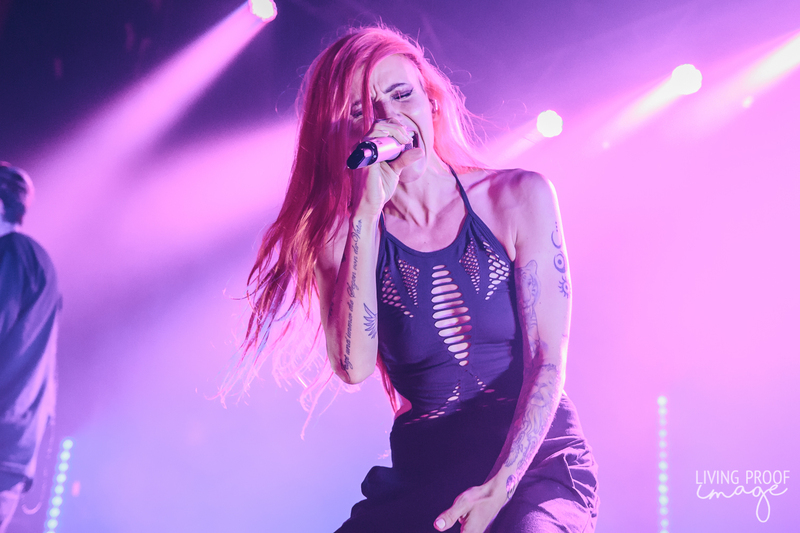 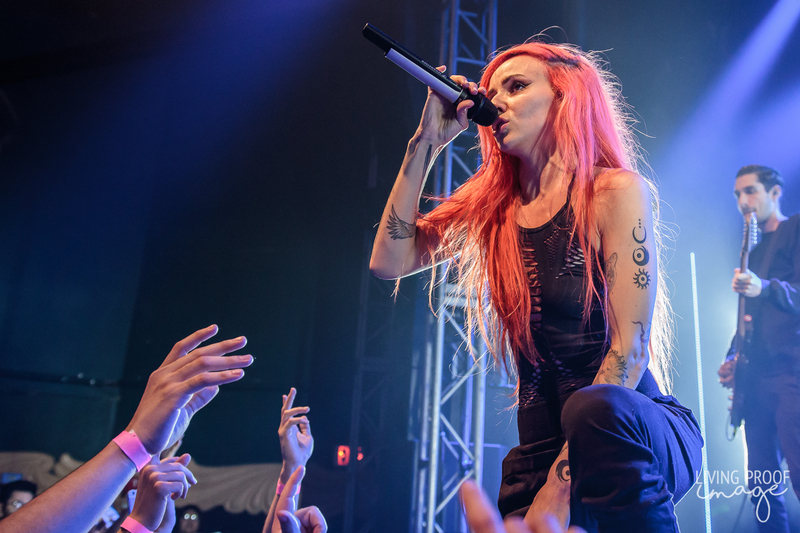 But it doesn't take long for Lights and her three-piece band to get things back into full swing with another single from Skin & Earth, "Skydiving". The 18-song set was largely from Skin & Earth, including the set closing "Giants". And when you thought the night couldn't get any better, I got to witness and participate in one of the coolest things I've seen at a concert. 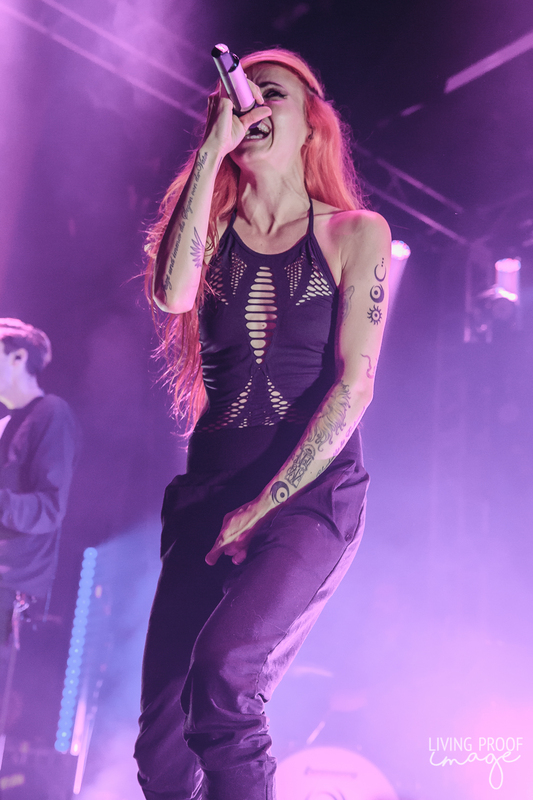 Lights brought out her husband (who flew in from Montreal) and their daughter, Rocket, where the Granada faithful sang Happy Birthday to the now four year old, who climbed out of Lights' arms, only to dance around the stage. It was an awesome sight. 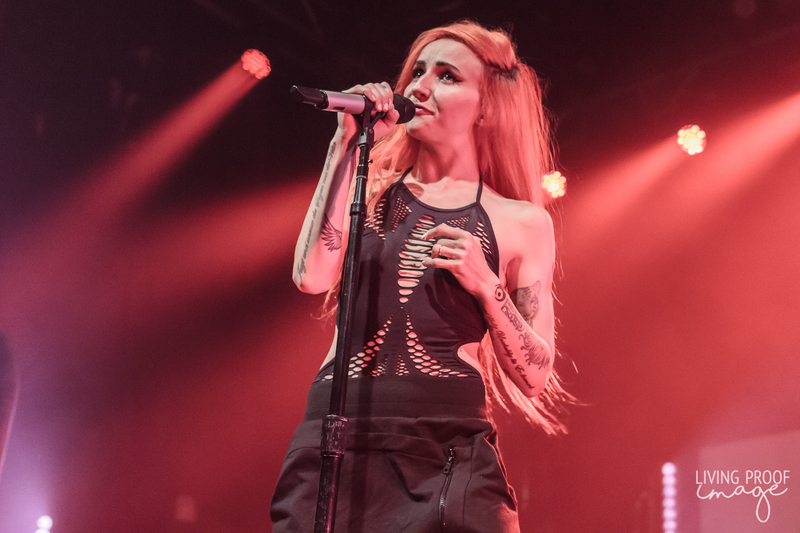 Lights comes back to perform her encore of "We Were Here" and "Almost Had Me", which had the crowd jumping and singing for joy. It was a lot of fun, even though I was probably the only person there who didn't know any of the words.